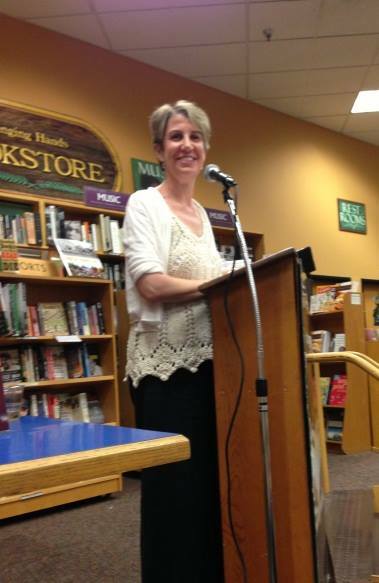 On September 16, 2013 two of ASU’s professors showcased their recent publications during a book reading at Tempe’s own Changing Hands Bookstore. Valerie Bandura and Tara Ison read short selections from their newest work, poetry collection Freak Show and novel Rockaway, respectively. In Freak Show, Bandura exhibits the raw emotion of the horrors the Jewish had to encounter during the cold war, and how they were pushed out of the former Soviet Union. She sets up a theme throughout her poems, giving distinct and sorrowful details of how throughout the years, the newest generations of Jews did not understand why they were being pushed out of these countries, writing that “We had no idea why we were running, why we were the chosen, then chosen to leave. With us it was simple; we were chased so we ran.” Bandura’s poems are thought-provoking, but even during that darkest time, she shows that there is light at the end of the tunnel. Bandura’s final poem was her parents, coming from a trip on Lake Powell. Within this poem, she describes a happy, carefree setting; one very different than the situation her family left in the former Soviet Union. Tara Ison started her reading with a self-interview that she wrote for The Nervous Breakdown. In it she asked herself what she would do if she weren’t writing. Some of my favorite answers were knitting, going to the dentist, vacuuming, and reading student work. 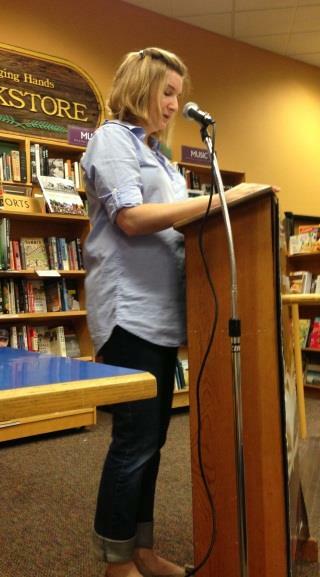 After reading her self-interview, Ison shared with the audience the first chapter of her newest novel Rockaway. Her protagonist, Sarah, is desperate to further her artistic career, staying in a cottage off the seashores of Rockaway, New York. Sarah is determined to paint a beautiful new set of paintings, and gains so much more from her summer in Rockaway. Ison does an exquisite job of creating a personal journey for Sarah, throwing her into a bottomless emotional pit of a summer. Valerie Bandura’s work has appeared in The Minnesota Review, Ploughshares, Alaska Quarterly Review, and others. Bandura also served as a Joan Beebe Teaching Fellow and was awarded a residency from the Bread Loaf Writer’s Conference and was awarded the James Merrill Fellowship from the Vermont Studio Center. She has received degrees from Columbia University and the MFA Program for Writers at Warren College, and currently teaches writing at ASU. Tara Ison is the author of three novels, Rockaway, The List, and A Child out of Alcatraz, which was a finalist for the Los Angeles Times Book Prize. Her short fiction has appeared in Tin House, The Kenyon Review, LA Weekly, and others. Ison was the recipient of the 2008 NEA Creative Writing Fellowship and the 2008 COLA Individual Artist Grant. She has also been the recipient of multiple Yaddo Fellowships, a Rotary Foundation Scholarship for International study, and more. She received her MFA in Fiction and Literature from Bennington College, and is currently an Assistant Professor of Fiction at ASU.